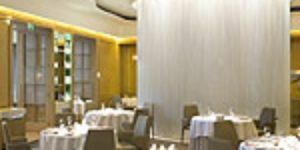 Conveniently located in Mayfair, Tamarind offers diners a veritable feast of North Indian cuisine. 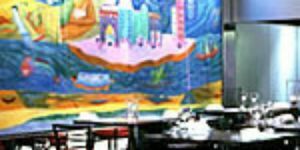 With an extensive wine list and extremely well informed staff, this is an excellent example of Indian cuisine. Do you work at Tamarind? What did you think of Tamarind? Tamarind has to be one of the best restaurants that I have been to in London. With excellent service and prices being very reasonable for the area that the restaurant is in, I would strongly recommend it. Absolutely awful. Hands down we had the worst experience at Tamarind this week. Possible the most unpleasant meal I have ever had and spent a fortune paying for it. Lack of customer service, appalling attitude, food is definitely over rated! Definitely not a Michelin Star! Diners BEWARE! Tamarind has excellent cooking and really fine service; just two points to make: first, it's in a basement and so some might find it a bit claustrophobic, and second, a realistic cost for dinner for two would be about £120 (including a bottle of wine). 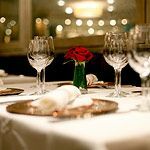 This subterranean venue in Mayfair was the first Indian restaurant in the world to be awarded a Michelin star, and with its glamorous location and carefully honed service it’s not hard to see why. Brought into being by the established Tamarind Collection, this fantastic hideaway restaurant combines flavours from all over India with slick service. An innocuous entrance leads to an attractive foyer and a polite receptionist, before a winding staircase takes guests to the main restaurant. It doesn’t look that expansive, but the opulent gold columns and mirrored walls give it a luxurious feel. Tables are flawlessly covered in white tablecloths, with black curved chairs and golden display platters adding that extra touch of sumptuousness. A particularly nice touch is the transparent frosted window into the kitchens, where chefs can be seen hard at work. 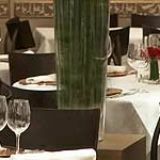 Unsurprisingly, the restaurant is popular with the Asian contingent of London, and there are wealthy couples on romantic dates dotted about the room. Though quite lavish, there are laid back groups of businessmen and friends in small groups treating themselves to the excellent cuisine. 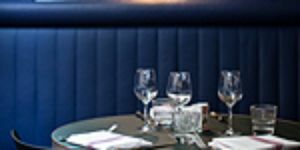 The staff are swiftly attentive, with a near impeccable sense of when to approach a table - and there's certainly enough of them to keep any party happy. Overall the effect is glamorous but fairly relaxed. The cuisine is by far the star attraction of the restaurant, even with the impressive aesthetic allure. 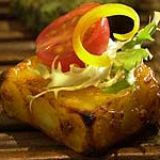 Appetisers, starters, main dishes, kebabs, vegetable dishes, rice variants and breads abound, with desserts an added flourish of flavour. Appetisers (£7.75-£16) are little works of genius in themselves, artfully presented in small dishes. 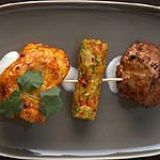 The grilled scallops are moist and tender, with a lovely smoked-tomato chutney to accompany them; the pudhina chops similarly well-cooked and flavoursome. The papdi chaat is very well paired with yoghurt and blueberries, the sweet and strong tastes combined by what's clearly a deft hand in the kitchen. The tandoori khumb contains one seriously delicious Portobello mushroom, and it's all too easy to see why the aloo tikki (potato cakes with a sago crust and a filling of spinach, garlic) has become a firm favourite with regulars. For the starters, the barwhan paneer (£14.50) has a delightful mint chutney filling to offset the strength of the turmeric, ginger and spices of paneer. The kalonji jhinga (£26) – jumbo tiger prawns in a spiced sauce with ginger, paprika and nigella seeds – are beautifully marinated to really let the meat absorb the spices. For lovers of fish, there is the zaffrani macchi (£22.50), hearty chunks of kingfish with saffron and ginger. Prawns are again rendered fresh and zingy with the jhinga kalimirch (£22) main dish, and the staple chicken tikka is given a great reworking in the murgh mahkni (£18.75). The rogan josh is given a new lease of life with the addition of genuine Kashmiri chillies, with the lamb braised with, ginger, browned-onions and tomatoes. However, the lobster masala (£36.50) is the outstanding option on the main menu, packed full of flavour from browned-shallots, tomatoes and spices before being finished with crushed pink and black peppercorns. 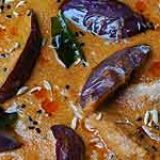 The vegetable dishes are delicious by themselves, and should not be dismissed as mere accompaniments to the meaty mains. Dahl mahkni (£7.95), a black lentil dish from the north-western region of India, is utterly amazing and will leave diners craving more long after the meal is finished. The tarkari handi (£8.95), whilst a fairly standard vegetable dish in comparison, is refreshing. The gucchi kofta (£9.85) proves that mushrooms are a definite forte of the chefs behind the dishes. The choice of rice and breads (£3.65-£4.95) to complement the dishes is fairly extensive, but guests should make a room for the stuffed naan with dates, coconut and poppy seeds. It could quite easily be eaten as a dish all on its own. The desserts (£7.50-£8.50) comprise one glorious mouthful after another. The chocolate mousse is smooth and rich, the hint of cinnamon and orange zest making it incredibly moreish. The mango and basil sorbet melts icily on the tongue, and the basmati rice simmered in milk with hints of clove is beautifully presented in a crisp shell. However, the crowning glory is the gulab jamun. Instead of the oily, overly saturated texture that seems to be the standard, Tamarind’s version is absolute perfection: rich but light. A Rose Martini adorned with a vibrant petal acts as a refreshing palate cleanser, and a pretty good place in which to start. The mixologist clearly knows how to bring out the best of the alcoholic and floral elements, as the drink is delicate yet delicious. The wine list is fairly expansive, with wine sources from across the globe. The Mount Brown Sauvignon Blanc 2011 from New Zealand is clean in taste, whilst the 'Vierkoppen' Cabernet Franc 2008 from South Africa is a hearty red with a full bodied flavour. Tamarind is just about perfect for everyone, from veterans of Indian cuisine to complete novices. It is pricey, sure, but it's also very good value considering the considerable skill involved in creating what are close to faultless dishes. Highly recommended.